Manuel Quiambao, 15, is one of 10 finalists in the Grades 7 to 9 category of The First Page student writing challenge. Neptune by Manuel Quiambao is one of 10 stories shortlisted for The First Page student writing competition in the Grades 7 to 9 category. Students across Canada wrote the first page of a novel set 150 years in the future, imagining how a current-day trend or issue has played out. Nearly 2,400 students submitted their stories. 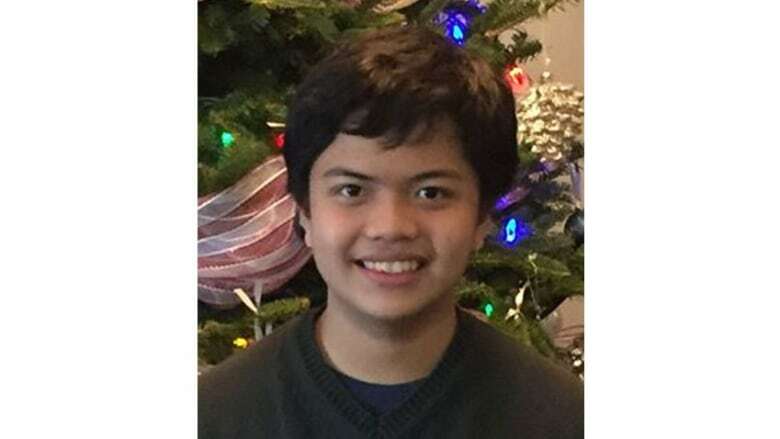 Quiambao, a student at Our Lady of Mount Carmel Secondary School in Mississauga, Ont., tackles climate change in Neptune. I wake up seeing the black sea touching the dreary sky. The rain is heavy and black, as per usual. The same scene as when I was born, when I hunted, when I slept, when I ate. The same scene of almost every place I go. It's like the book has said. The man who built an ark, and the flood he courses through, and the heavy rain. The book told me that God promised that he wouldn't end the world with such chaos. Where is God, then? Why did He not keep his promise? No land is in sight. The buildings are the only structures visible. But they're no longer the buildings I see in the antique books I've collected; they're just hollow, abandoned, in the midst of collapse. Rafts with solitary individuals are scattered about. Fish swim along in this "atlantis," waiting to be prey for either predators, and even more so, humans. Just as the sea swallows a raft or two once a storm brews up. No wonder our place is called Nalubog. The islands that sank. I just row my raft aimlessly. I have almost no energy left in me. I haven't caught edible fish these days. Some I caught were dead; some were mutated, horrid. Even my liquid filter doesn't work; whatever I pour from that darned thing is still the same liquid: blackish-blue water smudged with tons of choking oil. But no one cares about their life nowadays. Life is nothing — just a waste of space in this inhabitable ocean world. I look at the photographs in the books I've accumulated. The people in them smile, but for me, these are facades — empty grins. I sigh, just knowing my life will end soon. The sea awaits the day I will sink." I sing this psalm of hopelessness to myself when I saw a glimpse of hope. It's a ship, a vessel with many men, with plenty of food. Is this my utopia? Is this where I can reside now? I guess there's only one way to find out. I row my raft with all my strength to the ship with the last bit of vigour I have to this floating haven.